Seeds taken from cutting through the pods give a natural visual aspect of real vanilla. The recommended usage is 5 g for 1 kg product. However it can be decreased or increased as per the chef’s idea of presenting pure Natural Vanilla in their dishes. The Vanilla Seeds is the most expensive product from vanilla .It gives a deep and strong flavour and gives unique sweet taste and quality. A single vanilla beans which weigh 4 to 5 grams contain nearly 60000 tiny black vanilla seeds. These seeds contain exotic Vanillin flavor. Pure Vanilla seeds for Natural aspect. Keeping the diverse requirements of customers in mind, we are instrumental in offering superb quality assortment of Pure Vanilla Flavored Seeds. Owing to the dedication of our diligent professionals, we have earned a reputed name in offering finest quality Vanila Seeds. With sincerity and hard work of our professionals, we have carved a niche for ourselves in this domain by offering super quality Vanilla Seeds. The vanilla bean seeds is the most expensive product from vanilla .It gives a deep and strong flavour and gives unique sweet taste and quality. 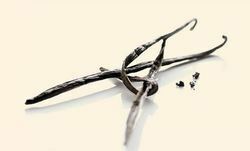 A single vanilla beans which weigh 4 to 5 grams contain nearly 60000 tiny black vanilla seeds. These seeds contain exotic Vanillin flavour. This can be used in ice creams, for baking and all other domestic and industrial purposes . We offer buying a comprehensive range of Vanilla Seeds, which is highly demanded across food, perfume, pharmaceuticals, chemical and other related industries. We procure Vanilla which is used as a chemical intermediate in the production of pharmaceuticals and other fine chemicals. With sincere intentions to preserve and uplift our reputation in the market, we bring forth a distinguished assortment of Vanilla Seeds.